When you're shopping for items to fill your new home, we understand that you want it all to be perfect. From the next big screen TV down to the kitchen cabinet handles, we get that you want everything to be just the way you envision it in your dream home. But some top-of-the line equipment and electronics may leave you with sticker shock. At a time that you may be trying to pinch pennies for your downpayment, you might not be as willing to pay top dollar. What if we told you that you could save hundreds (if not thousands) of dollars by purchasing something that might not be 100% perfect - and still get the make/model that you want? Did we just peak your interest? Welcome to the world of used and scratch and dent! Major appliance and electronics stores (like Lowe's or Home Depot) will often have a Scratch and Dent section or room that's filled with all sorts of goodies that have somehow been "scratched or dented." Now, the degree to which it has been damaged will vary. Some items may have a tiny scratch on the front corner that is easily overseeable. Others may have a major dent in the back of a refrigerator that no one would ever see. Regardless, because these items have been damaged in some way, they are majorly discounted - sometimes up to 75% off the original price! If you're lucky, you'll find everything from microwaves to washers and dryers to refirgerators to dishwashers, and more! If you are looking for a very specific make and model of an item, chances are that you won't find it. But if you're merely looking for "stainless steel appliances" for your newly-remodeled kitchen, you'll likely be in luck if you can accept some small imperfections. If you're wanting to save some money but haven't had luck with the scratch and dent section of your appliance stores, here are some additional ways to save a few bucks. Did you know that there are specific stores that only carry scratch and dent items? Do a quick Google search to see if you can find some in your area. Oftentimes, they will be affiliated with a large chain and specialize in overstocked or floor model items. 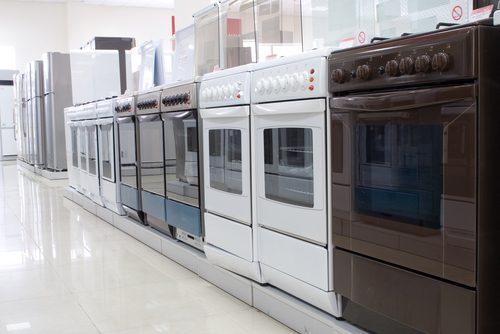 Your appliance may be beyond hope, but consulting an expert on your next purchase is a wise idea. Call a local handyman to ask him if there are makes or models that you should stay away from before you go shopping. Ask about all elements of the appliance or electronic you're considering to see what he suggests you avoid. You never know when someone in your city might be getting rid of exactly what you're looking for! Craigslist is a great way to check out items for sale in your area. We strongly recommend that you inspect your purchase thoroughly before walking away from the sale. Have the seller plug it in and show you that it works. For items that launder your clothes, make sure there are no residual smoke or detergent odors. Check seals on dryers and refrigerators to make sure they're in good working condition. It may sound silly, but you can get a discount even at a discount store. Some people have scored 10% off, free delivery, and free hauling away of old appliance (because the company could repair and resell it). Especially if you're purchasing more than one item, the retailer might be willing to sweeten the deal. Cash in hand also might help that discount climb. You never know until you ask! Wherever you buy, make sure you feel comortable paying for what you're you're getting. New may be perfect, but used or scratched may be more budget friendly. Happy shopping!